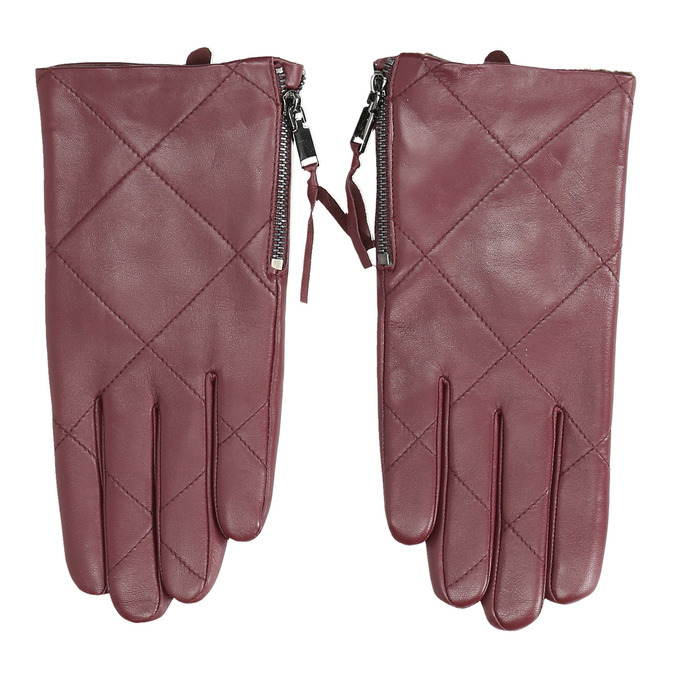 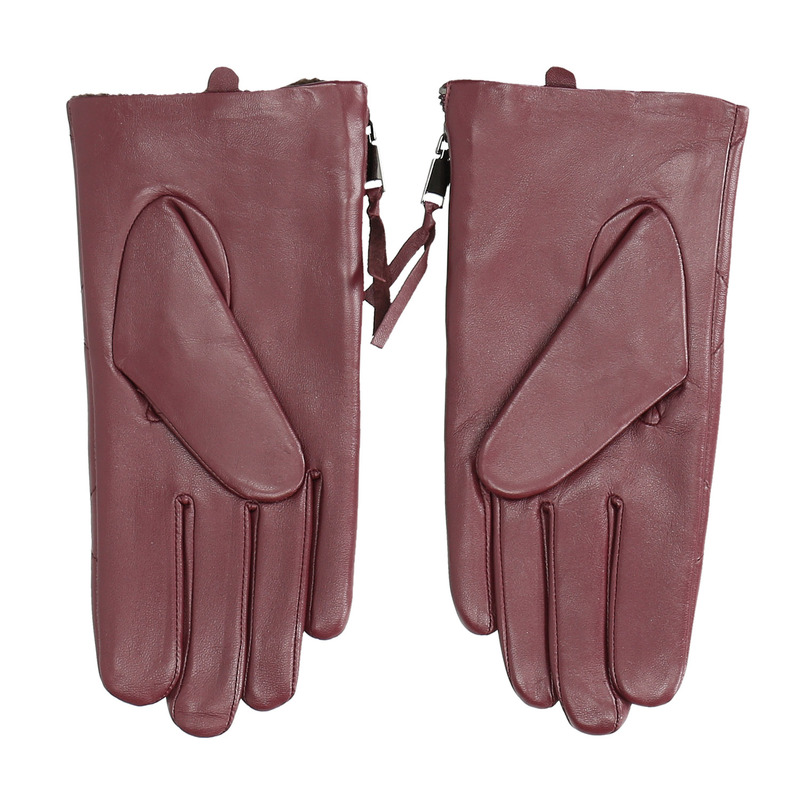 These ladies’ burgundy leather gloves feature stitching. 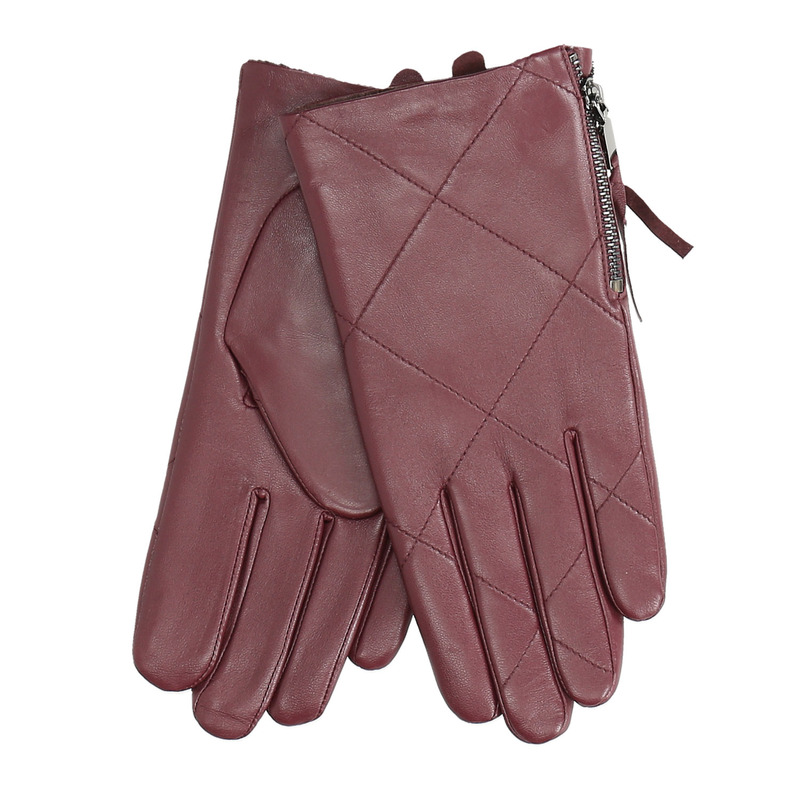 They have stylish zips on the sides, enabling you to loosen them when putting them on. They will go perfectly with a beige coat.